Air Purifiers The average air purifier is not equipped to handle the chemicals and particles present in tobacco smoke. The AllerAir 5000DS, however, is not your average air purifier. This specialized machine features a unique tar-trapping pre-filter that grabs larger particles before they reach the HEPA and carbon filters, thus extending the life of these filters. The 5000DS also features a micro-wrap filter to deal with the finer particles of ash and a 3", 22 lb. carbon filter to absorb the harmful chemicals, gasses, and odors present in tobacco smoke. 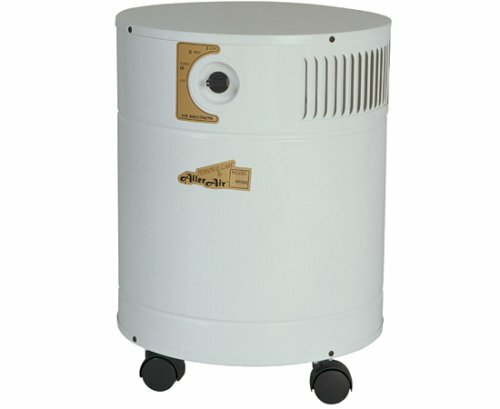 The AllerAir 5000DS is a must for any home or office with smokers.